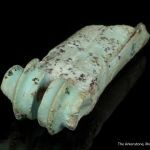 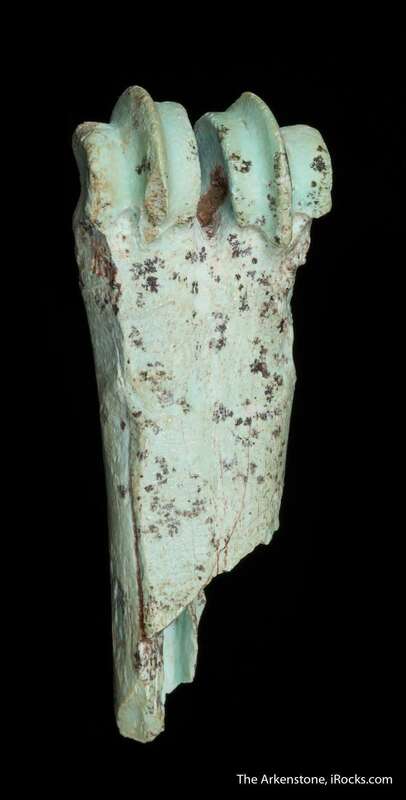 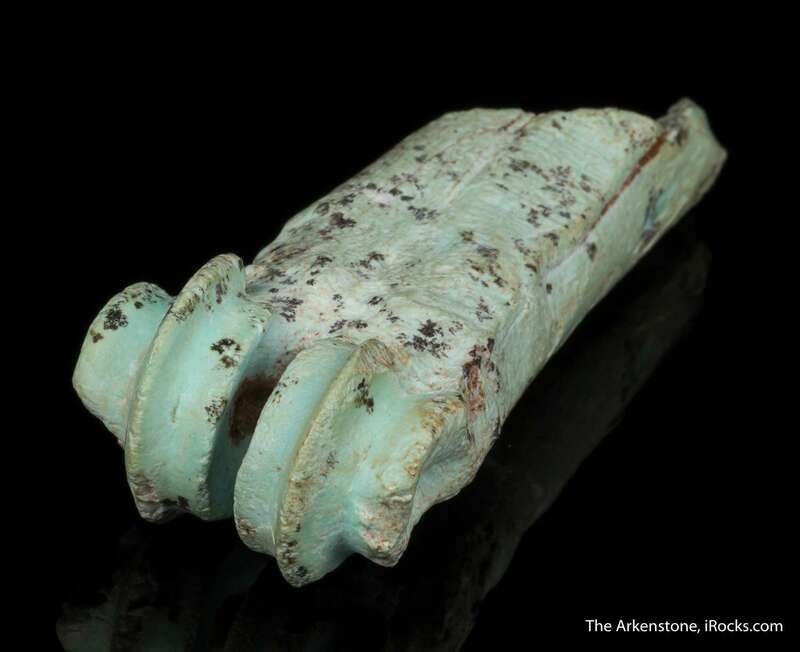 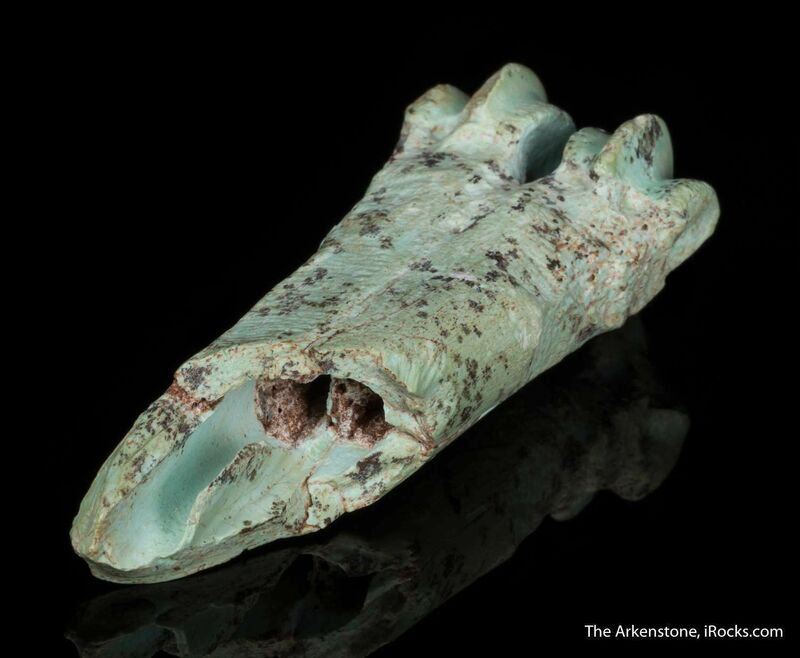 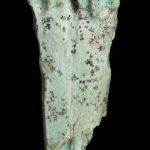 Amazingly, the mineral turquoise has totally pseudomorphed an animal bone, turning it a light green color. 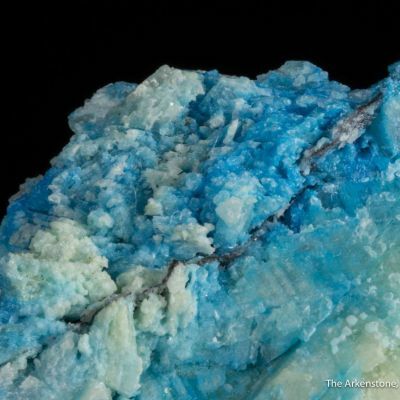 On rare occasions animals and humans die in the vicinity of ore bodies, primarily copper, and their skeletons are replaced cell by cell by the minerals. 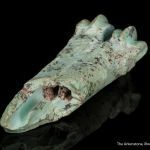 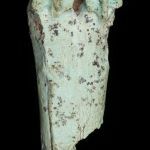 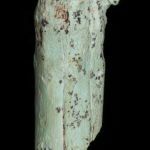 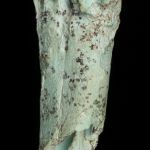 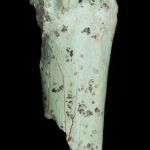 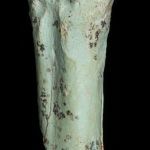 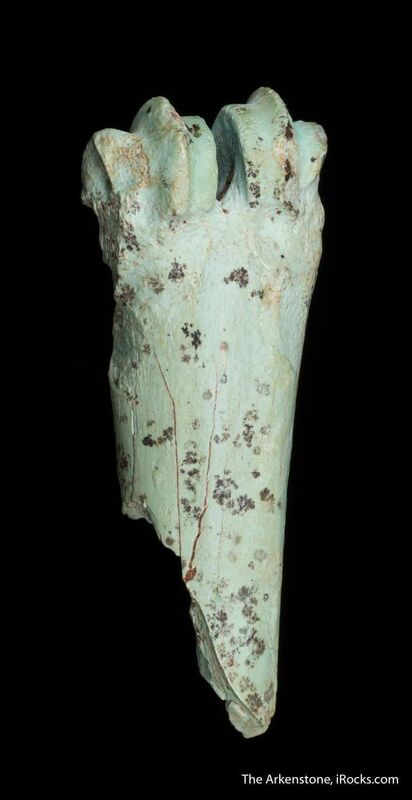 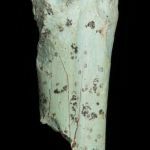 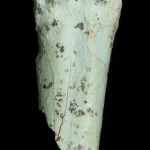 A bone replacement is essentially a pseudomorph similar to Turquoise after Apatite, and this is a very educational example of how we ourselves are "mineralized." 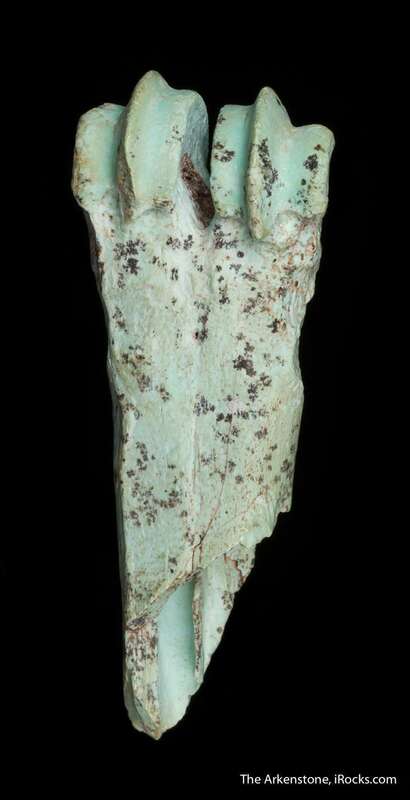 From the well-known pseudomorph collection of Ken Roberts. 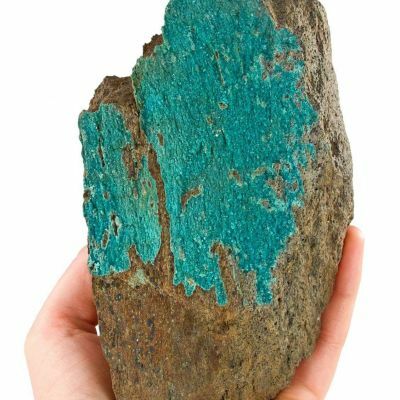 Specimens of this quality are very rare.